From his admission to the bar in 1837 and until he became president in 1861, Abraham Lincoln tried hundreds of jury trials. 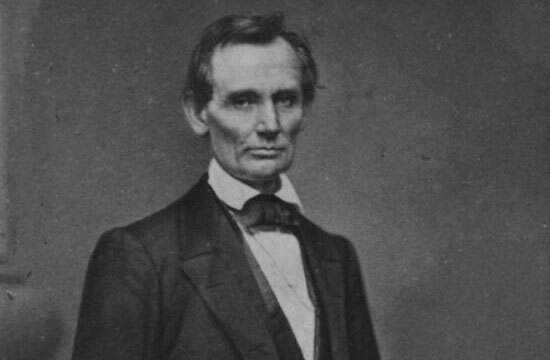 He was pretty good at it.1 Contemporary trial attorneys can learn a lot from reviewing some of Lincoln’s personal traits and talents that brought him success before juries. Lincoln’s success was based on his exceptional diligence, power of concentration and focus on detail. The starting point for his winning trial strategy was gaining a command of the facts of a case and shaping them into a structure that told a persuasive story. He recognized that jurors are not impressed by the presentation of random evidence without a defined purpose. So digging into the facts was critical to prevail at trial. The river-packet Effie Afton had struck the first railroad bridge across the Mississippi between Illinois and Iowa, damaging the vessel and burning the bridge. The ship owner sued the bridge company for obstructing the river with the bridge’s supporting piers, which he contended had caused the accident. Abraham Lincoln was retained to defend the bridge company in a trial conducted before Supreme Court Justice John McLean, sitting in federal court in Chicago. With twenty years of trial experience under his belt, Lincoln was at his prime. Abraham Lincoln’s capacity to spin a yarn was well-recognized by those who knew him long before he determined to become a lawyer. He could sit around the proverbial cracker barrel and tell an entertaining or humorous story with the best of them.9 Lincoln’s great storytelling ability was rooted in his life experience, which he utilized to maximum advantage in beguiling juries. He used the age-old mechanism of storytelling to guide jurors, ease them into following the action and then lead them to his intended conclusions. Lincoln knew that his mission was to build the facts of the case into a trial theme and a powerful story. Setting specific objectives and developing his trial plan around concrete facts, he avoided the jumble of witnesses and lack of organization that characterize some attorneys’ confusing approaches to trying a case. From the time that he entered a courthouse until the jury retired to deliberate, he pursued his singular goal of providing a simple and digestible narrative that pierced the heart of the controversy. How did he do this? The prosecution’s main witness had testified convincingly that he had unmistakably seen Armstrong and his accomplice commit the grisly crime at night in the woods under an illuminating full moon. Undaunted by this strong adverse evidence, Lincoln personally interviewed witnesses and examined the crime scene from every angle. He then developed a trial plan based on an alternative version of the facts casting doubt on the eyewitness’s account. Building a theory of the case through such questions intended to cast doubt on the eyewitness’s account, Lincoln doubled- down with extraordinary care to pin the man down to his version of the events. Lincoln then reached for the almanac, placed the published phases of the moon on the night in question before the witness and confronted him with the irrefutable fact that the moon was already setting at the time of the crime. Now was he sure of what he had testified? The witness could not respond further to Lincoln’s questioning. The prosecution’s case crumbled and the jury acquitted Armstrong. Lincoln had accomplished his objective by presenting a plausible completing story with a defined structure that provided, factor after factor, how and why the eyewitness might have been mistaken. Through his tightly worded questions, he constructed a coherent narrative that kept the jury anxiously wondering how his cross-examination could overcome the facts seemingly stacked so high against the defendant. At the same time, he humanized his client by parenthetically mentioning his lifelong association with Armstrong’s family. His coup de grace, the conflicting physical evidence of the almanac entry, clinched the defense. Lincoln’s story-of-the-case in the Armstrong trial was not a boring pile of miscellaneous information, unexplained disparate events, disconnected or dud witnesses, an incoherent “jigsaw puzzle” or confusing “roadmap” that left jurors without direction. His every action was aimed at creating tension and conflict that compelled jurors to listen and follow along. By relating a purposeful story that made sense, he cast doubt on the prosecution’s case and gave the jurors the ammunition to reach their own decision to acquit his client. Lincoln’s advocacy was more than just style. He had a substantive approach to examining witnesses.13 To the greatest extent possible, he attempted to pose questions that had no fat on the bones. His specific and lucid questions were bullets that shot to the heart of the case. Central to his approach was ensuring that his questions were carefully selected to fit into a structure that proved the case, not superfluous inquiries that did no more than pile on non-essentials.14 By cutting through the clutter and focusing on what really mattered, Lincoln avoided turning a trial into a mess of incomprehensible contentions, lawyer histrionics or distracting bombast. Lincoln’s direct appeal to jurors without beating around the bush is especially well demonstrated by his representation of an elderly Revolutionary War widow who had been swindled by a government agent who greedily took half of her pension as a “fee” for his services. The indignant Lincoln aimed to do justice for the cheated old woman. Every trial attorney has been told again and again: “Don’t talk down to people by using complicated, highfalutin and technical language. Use common words that regular people understand.” Unfortunately, some counsel cannot restrain themselves; their legal mumbo-jumbo seems to roll out naturally. Not Abraham Lincoln. He used the language and talked the talk of the common folk who understood his voice. Unlike some trial lawyers then and now, Lincoln possessed a natural knack to convey his message to the jury wrapped in homespun wisdom without a lot of pomp and pretense.22 His keen sense of humor and ability to turn awkward situations on end with comedy were well-known. Lincoln knew that his job in the courtroom was to create an emotional atmosphere through words and other aids that paint pictures with which jurors could plausibly identify. If he was succeeding, his well-presented narrative would sketch a familiar scene or open a window in the listener allowing for a shared experience leading to an accepted message. He appreciated that if he did no more than lay out bare facts through bland, unanimated testimony, even his highly effective forensic skills would fall flat on a disinterested audience. For these reasons, he honed his natural ability to advocate like a lawyer without looking and sounding like one. Using images to make jurors eyewitnesses to the case, he got beyond jurors’ natural skepticism that they were being sold a bill of goods. His goal, as every good trial advocate knows, was to make the jurors into witnesses and participants to the events comprising the trial. Lincoln, of course, could neither read jurors’ minds nor was he capable of mental telepathy. But he understood that it is the trial attorney’s job to get into jurors’ heads by creating a conversation with them, repeatedly focusing attention on the merits of the matter, and, finally, providing the means to enable jurors to figure out the case on their own in the jury room. Notwithstanding such hyperbole, many of his contemporaries agreed that he was a “jury man” who had a substantially better command of rhetoric and elocution than most lawyers of his day and he worked hard to perfect trial skills that might even turn a sow’s ear of a case into a winner. Every attorney practicing law today knows the ethical precept that a lawyer should not assert or defend a claim or argument in a civil or criminal proceeding unless there is some basis in law and fact for doing so.38 Lincoln explicitly followed this admonition long before it was promulgated as an ethical canon by the bar. 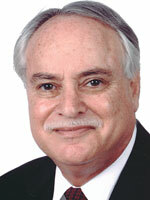 Judge Michael L. Stern has presided over civil trial courts since his appointment to the Los Angeles Superior Court in 2001. He is a frequent speaker on trial practice matters. As an attorney, he tried cases throughout the United States. He is a graduate of Stanford University and Harvard Law School. 1 MARK E. STEINER, AN HONEST CALLING: THE LAW PRACTICE OF ABRAHAM LINCOLN 75-100 (2006). [STEINER]. 2 In the frontier days in developing Illinois in the early and mid-19th century, the state was divided into judicial circuits. The Eighth Judicial Circuit included fourteen counties around Springfield, where Lincoln had his offices. He would travel to the county courthouses with the judge and fellow attorneys and pick up cases referred by local attorneys. WILLIAM H. HERNDON AND JESSE W. WEIK, HERNDON’S LIFE OF LINCOLN: THE STORY OF A GREAT LIFE 2:309-311 (1888). [HERNDON]. See generally, GUY C. FRAKER, LINCOLN’S LADDER TO THE PRESIDENCY: THE EIGHTH JUDICIAL DISTRICT (2003). 3 In the beginning. Lincoln’s law practice revolved around litigation about everyday matters typical to a rural agrarian economy, such as disputes over title to property, debt collection, small contracts, personal injuries and domestic matter of all kinds. He also tried a fair number of criminal cases, but, for the most part, stuck to civil cases. LAWRENCE WELDON, “Leader of the Illinois Bar” in ALLEN THORNDIKE RICE, REMINISCENCES OF ABRAHAM LINCOLN BY DISTINGUISHED MEN OF HIS TIME 128 (1885). [WELDON]. 4 RONALD C. WHITE, JR., A LINCOLN: A BIOGRAPHY 241-244 ((2009). [WHITE]. See generally, LARRY A. RINEY, HELL GATE ON THE MISSISSIPPI: THE EFFIE AFTON TRIAL AND ABRAHAM LINCOLN’S ROLE IN IT (2006) [RINEY]. 5 WHITE, supra note 4, at 162-163. 6 ALBERT A. WOLDMAN, LAWYER LINCOLN 182-184 (1936). [WOLDMAN]. 8 WHITE, supra note 4, at 244. Lincoln’s victory in the Effie Afton case has been called the biggest success in his legal career. HAROLD HOLZER AND NORTON GARKINKLE, A JUST AND GENEROUS NATION: ABRAHAM LINCOLN AND THE FIGHT FOR AMERICAN OPPORTUNITY 22 (2015). 9 Lincoln’s longtime partner William Herndon commented that “[i]n the role of story-teller I am prone to regard Mr. Lincoln as without an equal.” HERNDON, supra note 2, at 2:309-311. See, e.g., P.M. ZALL, (ed.) ABE LINCOLN’S LAUGHING: HUMOROUS ANECDOTES FROM ORGINAL SOURCES BY AND ABOUT ABRAHM LINCOLN (1995). 10 There have been many accounts of the Almanac Case and Lincoln’s trial strategy, cross-examination and closing argument in the trial. See, e.g., ALLEN D. SPIEGEL, A. LINCOLN ESQUIRE: A SHREWD, SOPHISTICATED LAWYER IN HIS TIME 157-158 (2002). [SPIEGEL]. See also, JOHN EVANGELIST WALSH, MOONLIGHT: ABRAHAM LINCOLN AND THE ALMANAC TRIAL (2000). 11 WOLDMAN, supra note 6 at 122-123. 13 Lincoln would have readily recognized the “Ten Commandments of Cross-Examination” advanced more than a century later by Professor Irving Younger: 1. Be Brief; 2. Ask Short Questions in Plain Words; 3. Never Ask Anything But A Leading Question; 4. Ask Only Questions to Which You Already Know the Answers; 5. Listen to the Answer; 6. Do Not Quarrel with the Witness; 7. Do Not Permit A Witness on Cross-Examination to Simply Repeat What the Witness Said on Direct Examination; 8. Never Permit the Witness to Explain Anything; 9. Avoid One Question Too Many; 10. Save It for Summation. ROBERT E. OLIPHANT (ed. ), TRIAL TECHNIQUES WITH IRVING YOUNGER 50-53 (1978). 14 JOHN P. FRANK, LINCOLN AS A LAWYER 96 (1961). 16 HENRY CLAY WHITNEY, LIFE ON THE CIRCUIT WITH LINCOLN 231-232 (1892). [WHITNEY]. 18 HERNDON, supra note 2, at 2:340-342. 19 WOLDMAN, supra 6, at 241-245. 20 See generally, GARY WILLS, LINCOLN AT GETTYSBURG; THE WORDS THAT REMADE AMERICA (1992); JOSEPH R. FORNIERI (ed. ), THE LANGUAGE OF LIBERTY: THE POLITICAL SPEECHES AND WRITINGS OF ABRAHAM LINCOLN 696-698 (2003). 21 ALEXANDER K. McCLURE, LINCOLN’S YARNS AND STORIES 122-123 (1901). [McCLURE]. 22 FRANCIS FISHER BROWNE, THE EVERY-DAY LIFE OF ABRAHAM LINCOLN 235-236 (1887). [BROWNE]. 23 McCLURE, supra note 21, at 69. 24 WELDON, supra note 3, at 133 (“Lincoln’s resources as a story-teller were inexhaustible and no condition could arise in a case beyond his capacity to furnish an illustration with appropriate anecdote.”). 25 McCLURE, supra 21, at 122-123. 26 Partner Herndon summed up Lincoln’s appearance that “[h]e was not a pretty man by any means, nor was he an ugly one; he was a homely man, careless of his looks, plain-looking and plain-acting.” HERNDON, supra note 2, at 3:588. It was said that Lincoln projected an aura of “a rough intelligent farmer.” BRIAN DIRCK, LINCOLN THE LAWYER 102 (2007). 27 WARD HILL LAMON, RECOLLECTIONS OF ABRAHAM LINCOLN 1847-1865 16 (1895). 28 EMANUEL HERTZ, LINCOLN TALKS: A BIOGRAPHY IN ANCEDOTE 26-27 (1939). 29 Attorney Issac N. Arnold, quoted in MICHAEL BURLINGAME, ABRAHAM LINCOLN: A LIFE 316 (2008). [BURLINGAME]. 30 WOLDMAN, supra note 6, at 131. 31 NOAH BROOKS, ABRAHAM LINCOLN AND THE DOWNFALL OF SLAVERY 130 (1894). 32 WOLDMAN, supra note 6, 197-199. 33 One version how Lincoln gained the sobriquet “Honest Abe” was for the respect that he earned from his friends for his honor and honesty in paying off his debts of a failed store that he ran with a partner in the days of his youth in Old Salem before he moved to Springfield and later became a lawyer. KENNETH J. WINKLE, THE YOUNG EAGLE: THE RISE OF ABRAHAM LINCOLN 100-101 (2001). Judge Samuel C. Parks, who practiced as an attorney in the courts with Lincoln, said that Lincoln was well known for his consistent honesty with clients, counsel and the courts. ALBERT J. BEVERIDGE, ABRAHAM LINCOLN 1809-1858 1:542 (1928). 34 BROWNE, supra note 22, at 142-143. 35 STEINER, supra note 1, at 13. 36 SPIEGEL, supra note 10, at 141. 37 BURLINGAME, supra note 29, AT 321. 38 See, AMERICAN BAR ASSOCIAITON MODEL RULES OF PROFESSIONAL CONDUCT, R. 3.1, Meritorious Claims and Contentions (2002). 39 WHITNEY, supra note 16, at 261. 41 DANIEL W. STOWELL (ed. ), THE PAPERS OF ABRAHAM LINCOLN: LEGAL DOCUMENTS AND CASES 1:12 (2008).